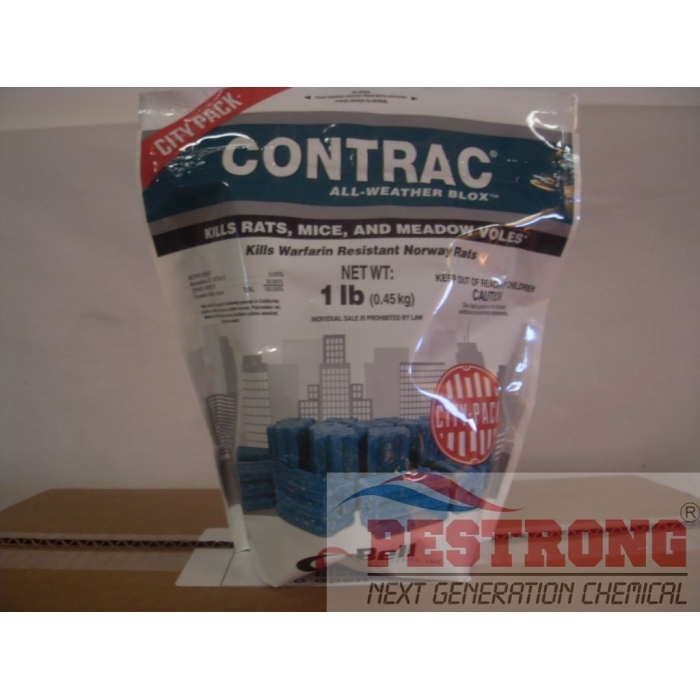 Where to Buy Contrac City Pack, Contrac All Weather Blox City Pack - 16 x 1 Lb Zip Lock Bag - $114.95 for Sale with Fast Free Shipping! 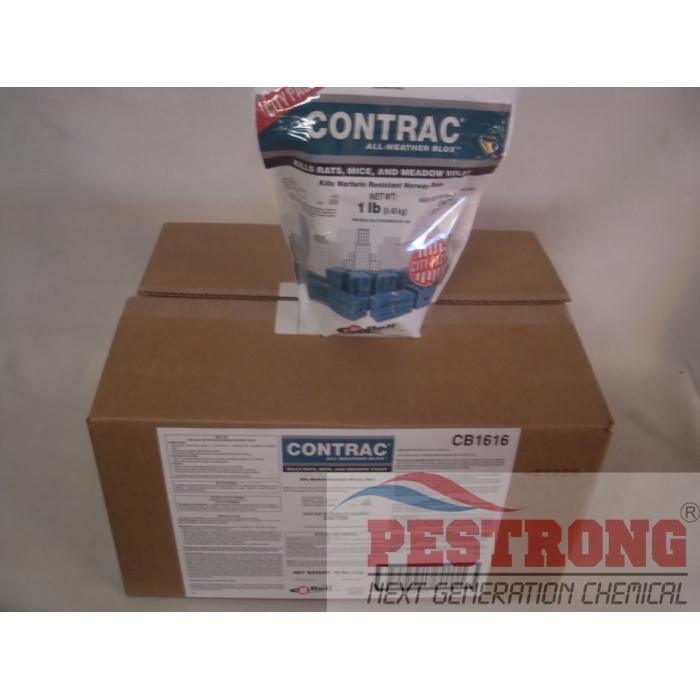 Contrac All Weather Blox City Pack - 16 x 1 Lb Zip Lock Bag is a bromadiolone formula known for outstanding rodent acceptance and control. The smaller pack size is useful to control inventory in the field and has a zip lock closure to keep bait fresh. Approved for use on commensal rodents as well as meadow voles and seven other additional species (certain restrictions may apply) and also approved for use on Peromyscus (deer mouse, cotton mouse and white-footed mouse). I moved into the New York city, and surprise, surprise there are rats here. So obviously, I wanted to get rid of them (so I was told by my wife) and so I got online and did some research, it turns out rats could ignore the bait and not eat them and also sometimes the bait can go bad because of the weather and I wanted to avoid any of that and after hours of research I finally decided to get contrac all weather blox, and to make the long story short, it worked, it worked real good, for a couple of weeks I wasn't sure if it was working, because the bait was keep disappearing but then by the 4th week they were all gone!